President Trump just made the “worst decision” of his presidency, said Joel Mathis in TheWeek.com. By announcing last week he’s withdrawing the U.S. from the 1987 Intermediate-Range Nuclear Forces Treaty (INF), Trump has given Russia a green light to legally deploy land-based missiles capable of flying between 300 and 3,400 miles. 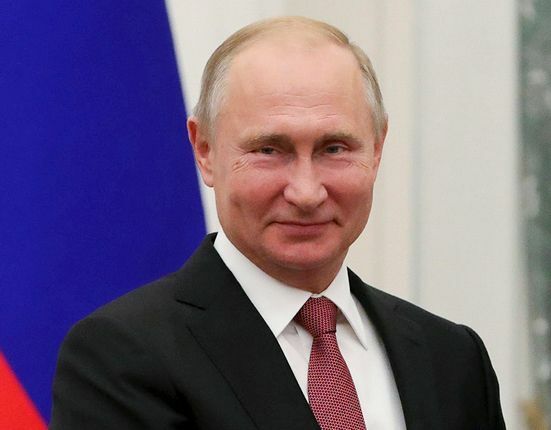 Vladimir Putin, who has built about 100 medium-range missiles in violation of the treaty, now has the go-ahead to create an arsenal that could lay waste to any country in Western Europe. What is Trump thinking? When Ronald Reagan and Mikhail Gorbachev inked the INF in 1987, the world had a combined stockpile of about 70,000 nuclear warheads. Today, it’s fewer than 15,000—and the INF treaty was a major factor in promoting that decline. Trump and the hawkish national security adviser John Bolton have played right “into Vladimir Putin’s hands,” said Joseph Cirincione in The Washington Post. Yes, Putin violated the treaty. But the U.S. should have demanded inspections and pressed for compliance. Now Putin gets to freely deploy even more missiles. Putin left Trump no choice, said the Washington Examiner in an editorial. Russia has “flagrantly violated” the treaty since 2014 and refused to permit inspections. Russia’s midrange missiles are particularly dangerous for their ability to fly low and evade radar, and for how fast they can deliver a nuclear payload to their targets—a matter of minutes. If we tolerate Putin’s nose-thumbing here, “we’d be signaling American weakness” and inviting him to commit “further international outrages.” Trump’s decision is not just about Russia, said Lara Seligman in ForeignPolicy.com. China never signed the INF, and has deployed 1,000-plus midrange missiles throughout the Asia-Pacific region. Now America can put medium-range missiles on islands in the Pacific to offset China’s buildup.